← 2012 BET Awards Red Carpet Fashion Winners…..and Losers! 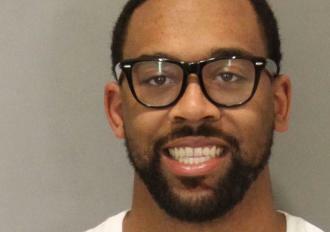 C entral Florida basketball player Marcus Jordan, the son of retired NBA great Michael Jordan, was arrested in Omaha early Sunday following a disturbance outside a downtown hotel. According to a news release, police responding to a call at the Embassy Suites found hotel security trying to subdue Marcus Jordan, who was having an argument with two women in the hotel driveway at 2:11 a.m. CDT. Jordan, a rising senior, averaged 13.7 points a game for UCF last season. Come on Marcus….do you know who your daddy is? Get it together. This entry was posted in Gossip and tagged arrested, Chicago Bulls, Law, Marcus Jordan, Michael Jordan's son, NBA. Bookmark the permalink.